We are dealers for Sopro Imaging and can supply the popular PSPIX and Digora Optime Scanners fully integrated to the Shire Dental System. 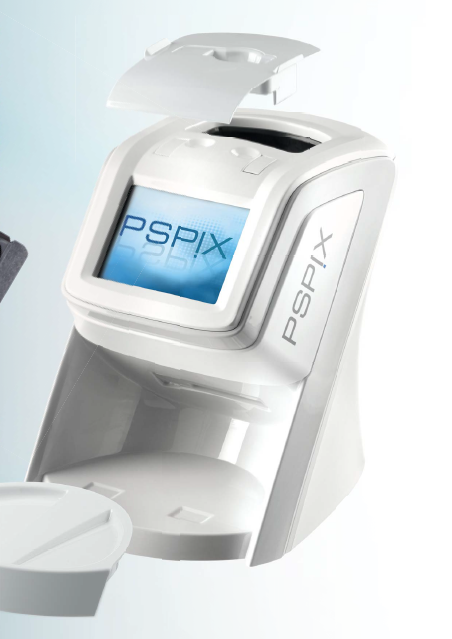 Smart design, ergonomics and compact with a consistent image quality, PSPIX, the new Digital Imaging Plate System is designed to make intra oral imaging in the dental office easier and more efficient. Four sizes of Imaging plates, thin and flexible with an active area optimized to 100%. With PSPIX, the readout process of 4.3 sec. is completely automatic and a screen allows you to control the different steps of the process and to view your shot. 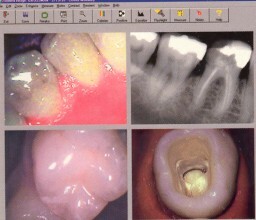 Fully Integrated to the Shire Dental System allowing images to be viewed on any woorkstation. We can also supply the Durr Vista Scan for interoral and OPG scanning. 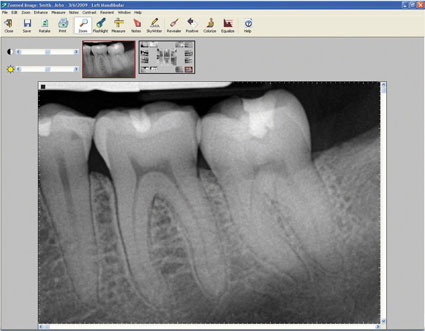 We are happy to link to any other type of digital x-ray, inter-oral camera and digital photographs. We have developed sophisticated links to Image handling software such as the Schick Technologies CDR Dicom for Windows, Sopro, Kodak Trophy, Dexis, Owandy QuickVision & Gendex.